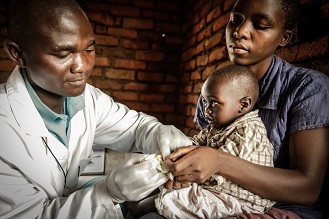 Today the Bill & Melinda Gates Foundation announced Margarida Matsinhe, a VillageReach field officer, is the winner of 2013 Gates Vaccine Innovation Award. Margarida has dedicated her career and life to working to improve the health of families across Mozambique, and all of us at VillageReach are celebrating with her today. Through our work improving access to healthcare for underserved communities, we know that the work and commitment of the people who are on the frontlines of service delivery are critical to innovation and progress. Margarida is one of these people. After a successful career in high-ranking ministry of health positions, where she gained a comprehensive understanding of health needs across the country, Margarida concluded that the best way to achieve improvements in health outcomes is to focus at the service delivery level. This led her to VillageReach and our work with provincial governments to improve access to vaccines in rural Mozambique. As a field officer in Maputo Province, Margarida works with the provincial health authority to coordinate vaccine distributions and provide supportive supervision to health workers during monthly deliveries to the 79 health centers in the province. This means that Margarida is traveling out to rural health centers every week, working with health workers and their supervisors to improve the distribution, management and delivery of vaccines. Margarida is vocal about problems affecting vaccine services and she pays attention to every detail. She is relentless in resolving any issues affecting vaccine delivery because sometimes the smallest details can have large impacts. For example, Margarida noticed incorrect population figures used in vaccine forecasting were leading to insufficient amounts of vaccines at each health center. She successfully advocated to change the figures, ensuring enough vaccines were available at the health center to serve all children and pregnant women each month. When Margarida learned that mothers who walked over 15km to their nearest health center to vaccinate their children or mothers who gave birth on certain days were being sent home because they did not arrive or deliver on an “instituted” day for vaccination, she was outraged. Margarida helped push the management to agree that vaccines should be provided every day, preventing any child from going home unvaccinated. For me, the recognition for Margarida represents more than just one person winning one award. It’s a testament to all the individuals who have committed their careers and their lives to working to improve health at the last mile. In our field, gains are realized over long periods of time and success can be hard to see and measure in days, weeks, months, or even years. It’s people like Margarida – and the many field workers and frontline health workers – who push for improvements every day, despite obstacles and challenges. The improvements we’ve seen over the past two decades in child mortality rates and maternal health outcomes are a direct result of these daily efforts. There is still plenty of work to be done to ensure all people have access to quality healthcare, and it’s people like Margarida that are helping us get there.